Never having enough time, or this just an excuse? You know that thing that people say about ‘never having the time to exercise’? I’ve said it myself in the past, though I think that was just a lack of willpower and general laziness! I think I’ve started to say it about my craft making. 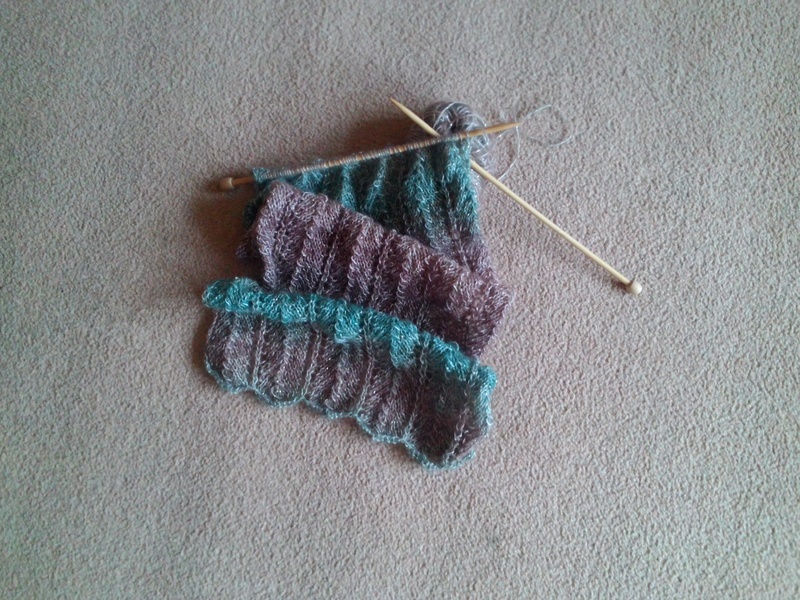 I have too many knitting projects unfinished and sewing projects not even started. I have a stack of patterns, yarn and fabric, enough to set up my own store, well, almost. The half finished projects are often those that I started and got bored of, or stuck on. The sewing is a reflection of my keenness to begin something slightly out of my comfort zone. I think I might need to launch myself right in, put on my ‘sensible head’ (when am I ever going to use all those bags if I make them all?) I need to reassess if I am actually going to finish/start each thing. I have been known to start a summer project in the summer, not finish it, seasons change and I think ‘oh well, I shall leave it there and take it up when the same season arrives next year’. Is this something many of us do? What’s the point of finishing a little summer shrug when you need something warmer with long sleeves? This is not the first year I’ve made this mistake. I sit in one of my recent successes (my crafting is not totally a disaster). This is actually a skirt made in July 2014 (photo to follow, camera out of reach this present moment). It’s possibly the last time I wear it this season as autumn is fast arriving. It still looks sunny this weekend but there’s a definite chill in air. I really must knuckle down this week. Rather than talk about all this ‘making’ I must get on and ‘make’.